Light, moisture wicking, stretchy fabric, like a swimming costume! Can stretch upto 500% of its size and bounce back! 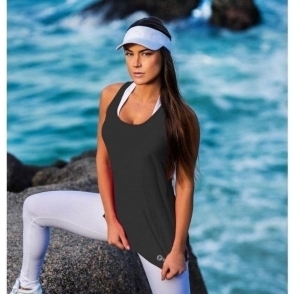 This simple but effective top will get you through the intensity of your workout, helping your perform at your best. It is made of Light Supplex, Amni Lycra fabric, which is lightweight and fully breathable, silky soft to the touch, and will give you that freedom of movement.